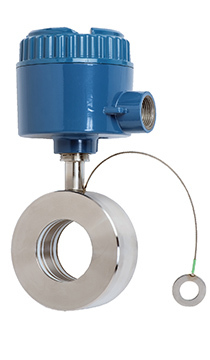 The ClearLine in-line fluid detector level switch employs a unique sensor that mounts directly into the process piping. The sensor does not interfere with the material flow and does not contribute to plugging the way insertion type sensors do. The ClearLine in-line point level switch is ideal for pump protection to prevent run dry damage as well as empty vessel indication. The ClearLine level switch is available in four pipe sizes.